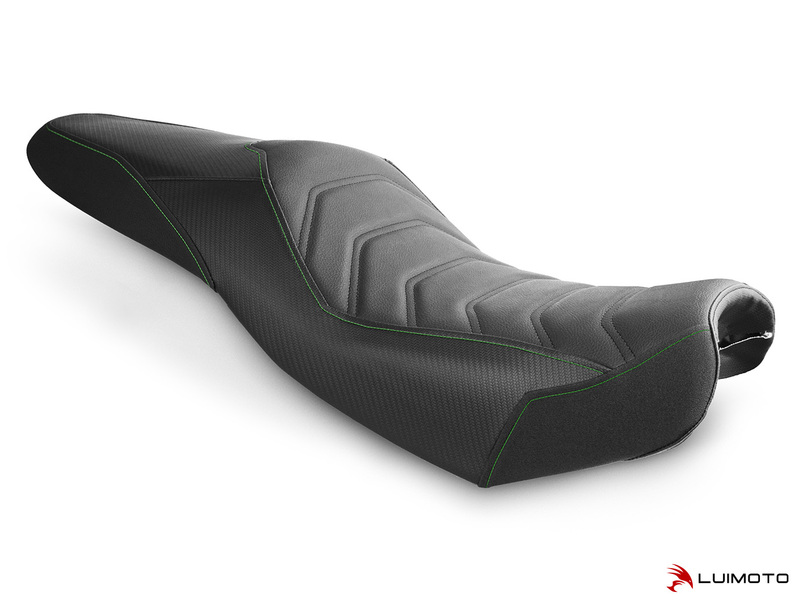 Introducing the all new Styleline Seat Cover for your Versys-X! Featuring our exclusive cafe style ribbing on a fine-grain synthetic leather surface. Tec-grip, carbon fiber marine-grade vinyl and contrast stitching adds both style and function to your ride. Stand out with the finishing touch of Luimoto!